Over the years, aware of the need to extend the tourist season beyond the snow season, the Government of Andorra, state institutions and the private sector have undertaken different projects to achieve this goal. In this way, cycling activities have become one of the main bets, both in terms of cycling routes , which take full advantage of Andorra's incredible landscape, and Downhill mountain biking and high-end sport events. 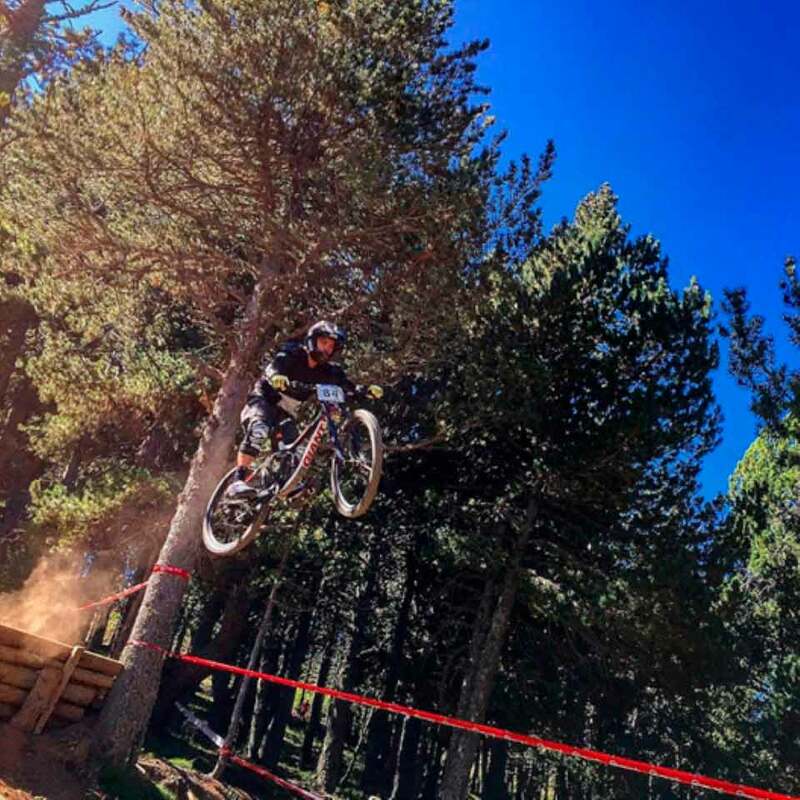 As it can not be otherwise, Grandvalira, with its bike park de Soldeu (Canillo), continues to strongly bet on Freeride and downhill mountain biking during the summer season. Thanks to its facilities, which have become one of the important assets of summer activities in Andorra, the largest mountain resort in Southern Europe offers several slopes and modalities for mountain bike fans. It should be pointed out that this Bike Park was designed by Oscar Sáiz, a famous downhill rider and former top ten in Spain. Located in Grandvalira-Soldeu area, the Bike Park also offers xc trails, a slopestyle track, enduro circuits and a range of modules. Grandvalira sells different passes from one to multiple days. Bike Park Grandvalira Soldeu offers all kinds of tracks of different levels. 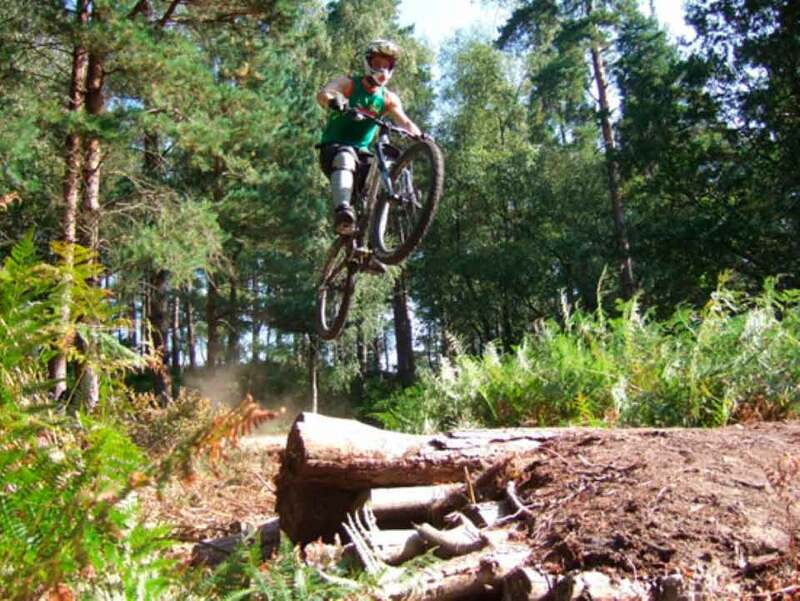 One of the recently built, which has proved to be one of the most popular, is the Green Track, a 100% Freeride route, specially aimed to beginners. The track, suitable to all ages and levels, begins at Cap de la Solana and goes down the mountain until the village of Soldeu. More experienced bikers can ride down the "OS" trail, a long route of mid difficulty, or the Slope Style trail, for more brave riders. Most routes have all sorts of modules with sets of drops and jumps to practice the best freestyle tricks. Without any doubt, Vallnord Bike Park La Massana has become one of the great attractions of the Northern Valleys. The numbers are impressive: 25 circuits of different levels including 18 downhill runs, 2 enduro tracks, 3 cross country circuit, a wood park, and green runs for the youngest of the family. Whether you choose Grandvalira Bike Park Soldeu or Vallnord Bike Park La Massana, thanks to our hotel in Encamp, you will be located in a strategic point, since the city of Encamp is located in the center of Andorra, halfway between the two Bike Parks. Whatever your choice, our hotel will allow you to be close to both facilities. "La Purito", a challenge for the most courageous cyclists. For the third time a new edition of La Purito will be held in Encamp. 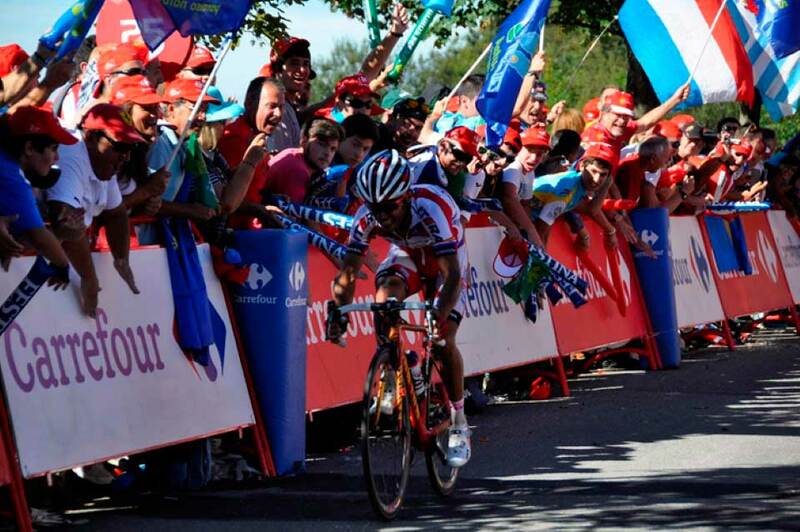 'La Purito' is a cyclotouristic race designed by cyclist Joaquim Rodríguez, aka Purito, and the Sprint Club of Andorra. This new edition will take place on Sunday August 6 and will cover the same route as the eleventh stage of 2015 edition of La Vuelta. This demanding cycling race offers the possibility to run three different routes (25, 80 and 145 km), and ends again on the top of Cortals d’Encamp. If you are interested in participating in "La Purito" or just want to enjoy as a spectator, we recommend staying in Encamp, since you can enjoy without having to move around, all the emotion of this sport event.